Sure, there is a caveat for those who are simply not inclined to bike. I would not recommend a bicycle tour for those who lack confidence on a bicycle or have physical conditions that preclude physical exertion. On the other hand however, single-day-destination bicycle tours are typically along safe routes and quite easy relative to physical exertion. Route planners will create tour routes that use bike paths, bike lanes and avoid hills and auto traffic whenever possible. Most guides will limit the continuous time on the bike to a few minutes before they will stop at a scenic spot or to provide local content information. If there are hills or spots where you ride with auto traffic, the guide will usually warn the group in advance and take measures to assist novice riders in those situations. While some like to tour on their own and enjoy the freedom to move about as they please, a local guide will add context to the destination relative to its history and local highlights. Most guides will also add some colorful local stories or trivia that make the touring experience even more fun. Learning the historical relevance of a draw bridge over a canal in Paris. Long ago builders wrongly thought that natural sandstone was more stable than man made brick. Thus sandstone is used as foundational material. Each statue on the building has a story. Because a bicycle tour is such an efficient way to explore, I always try to make the bike tour the first thing I do when visiting a travel destination. That way, I learn the territory and can discern how I want to focus the remainder of my stay. Recently, myself and other members of the Bike and Roll ownership team toured five cities throughout Britain, Belgium and France. In each city except one, we were able to find a local bike tour and by taking the tour first thing, our local visit was significantly enhanced. In some cities we actually took more than one bike tour. In those cases, we took the “touristy highlights” tour, and then took the “off the beaten path” tour. We met a women on the tour who had run a race up the Eiffel Tower that very day. She finished 3rd and made it to the top in 11 minutes – Wow! In Antwerp, Belgium we toured with Antwerp by Bike, http://www.antwerpbybike.be/en/. Led by our very informative guides the bike tour took us past the musical instrument museum, a historic castle, and the harbor museum as well as many other historic buildings, churches and plazas. 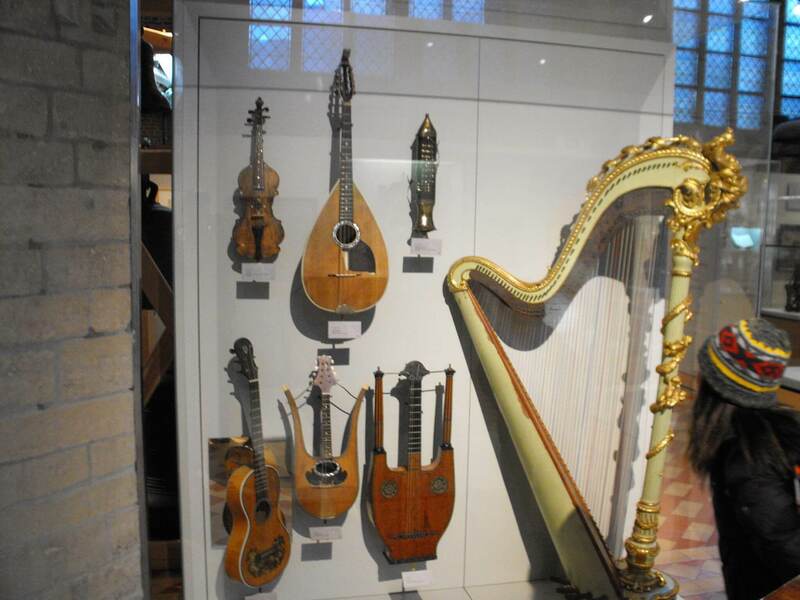 We later went back after the tour and invested some time in the musical instrument museum, as I’m a small time collector of musical instruments and I convinced my party to join me. We may not have found the museum had it not been for the bike tour. 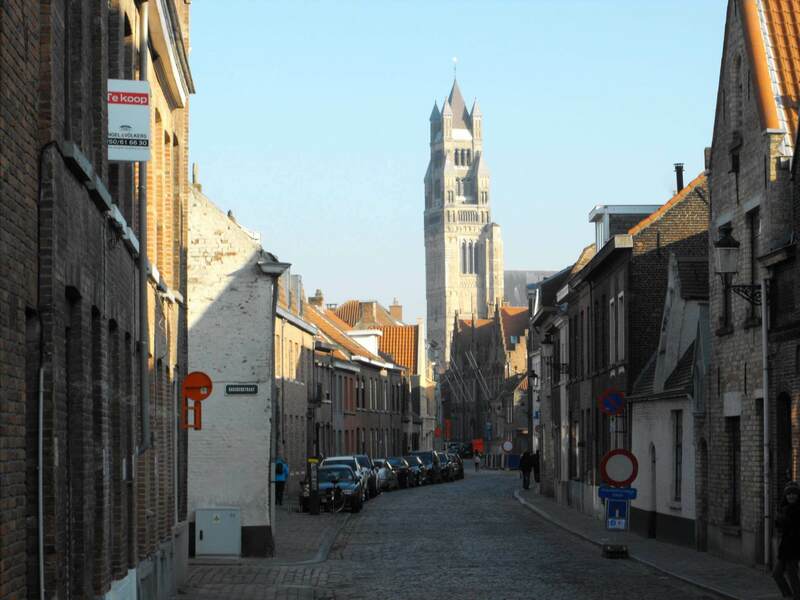 In Bruges, Belgium we were able to cover most of the local area on the Quasimundo bike tour, http://www.quasimundo.com/, as it is a much smaller city than the likes of Antwerp or Brussels. From that tour we learned of the recommended local boat tours, the beer museum, several beautiful historic buildings, the local square, and the oldest tavern in the city. Our guide was a local, born and raised; quite the entertainer and quite proud of his city and his heritage. Our group received the inside scoop on lots of local tidbits from the historical to the quirky. Because the city was small enough, we went back after the bike tour and visited all of the destinations that were recommended by our bike tour guide. The bike tour ensured we had a fabulous visit to Bruges. Unfortunately, in Brussels, Belgium we were unable to find a bicycle tour convenient to the areas we wanted to explore and where we were staying. 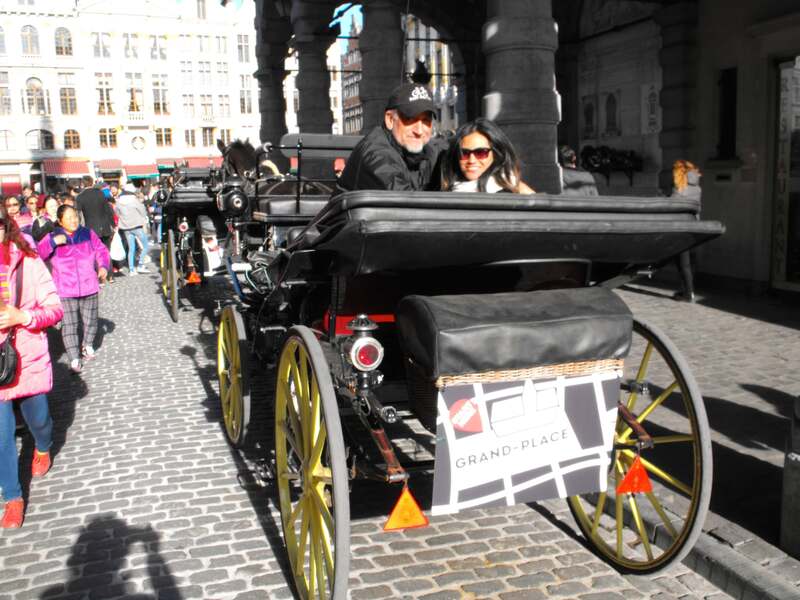 We opted for a horse carriage tour which was fun but was much more limited in scope than a bicycle tour. Fun, but biking was better! In London, we did both the touristy tour and a tour of the east side of London. London is so large that you really need a plan in order to get the most out of your visit, unless you intend to stay for an extended period of time. We toured with London Bicycle Company, http://www.londonbicycle.com/ and the “touristy tour” was called The Classic Tour. This tour focused on the riverfront areas along Gabriel’s Wharf and beyond. We crossed the famous Tower Bridge, saw the London Tower from a distance, rode by Westminster Abbey, and learned about the House of Lords and House of Commons, including the fact that each section of government has their own bridge designated by color from which the respective members get to and from work. Our guides provided several interesting history lessons. 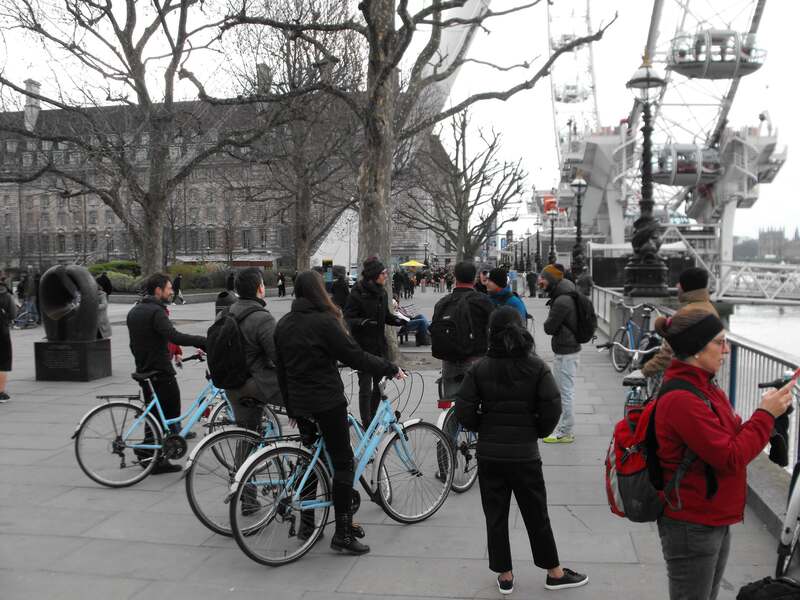 The East Tour overlapped with some of the waterfront touring but then went on to explore more of the day to day London providing evidence of this multi-national, multi cultural city. 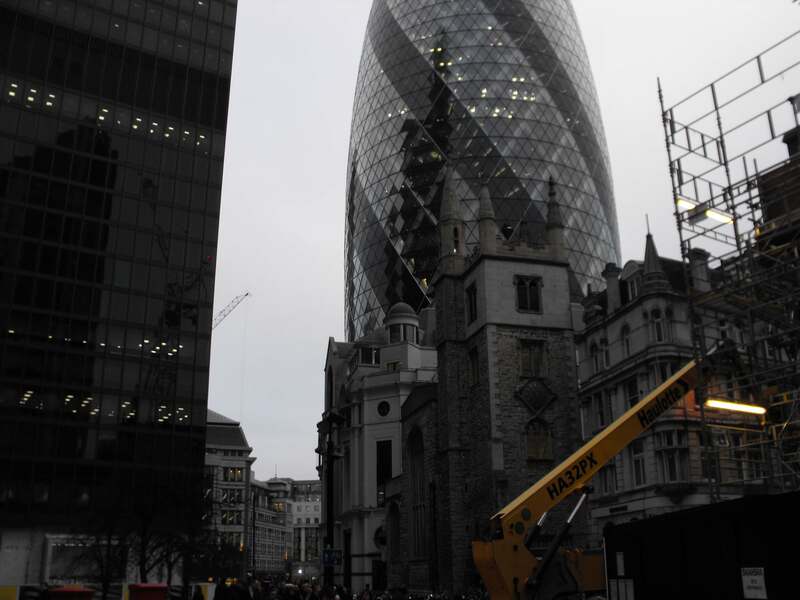 We also experienced the contrast between modern day London’s incredible modern architecture with the many different architectural styles of historical London. In Paris we also took two tours, one touristy and one focused more on everyday life in Paris. 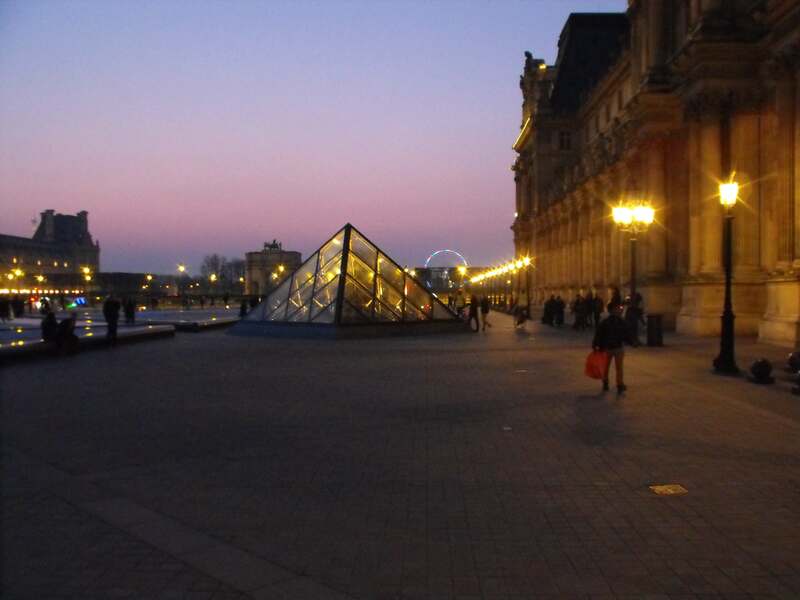 Paris is quite possibly the quintessential tourist destination. There is so much history, so many attractions and points of interests and so much art and culture, it is amazing. Amazing and so easy to become overwhelmed! By taking two bike tours that were in contrast in terms of focus, we were able to come away feeling satisfied that we’d at least gotten some sense of Paris in the limited 3 days time we were in the city. The touristy tour of course took us to the Eiffel Tower, Notre Dame, to the outside of Sainte-Chapelle Cathedral, and to the Louvre for a ride through the plaza and under the Arc de Triomphe. The bike tour also connected to a boat tour, which added great value to the experience. After the tour we returned to enter Sainte-Chapelle and the Louvre, which are both must do visitor experiences. Fortunately, our guide had provided some tips on how to avoid long lines for entry. 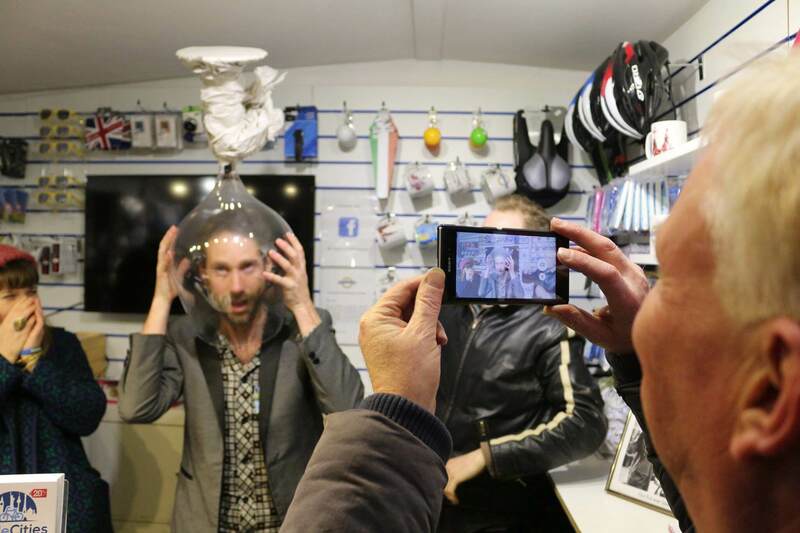 We took the “off the beaten path” tour with Paris A Velo, http://www.parisvelosympa.com/. Our guide was very enthusiastic and the tour was terrific and aptly named Unusual Paris. We explored alleyways, climbed vistas for incredible views, explored working canals and city parks along with learning how the past connected with modern day history in Paris. Our guide took us to a local tavern at the conclusion of the tour and the fun and excellent experience continued. Modern art at a park in residential Paris. Can you see the bike parts in the background? On each of the tours there was a bonding element with our guides. In several cases we spent time together after the tour relaxing at a local café or tavern. The relationship aspect also adds a special dynamic to the experience. 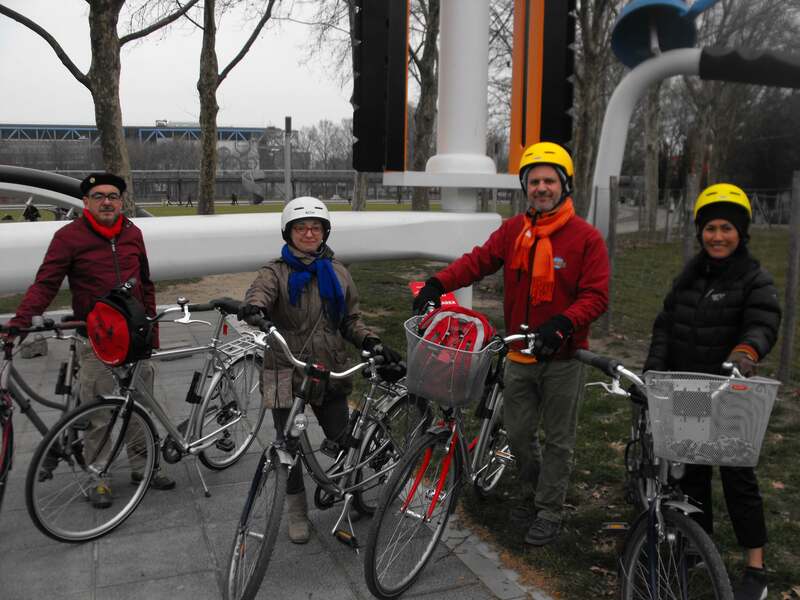 It was easy to locate and reserve our tours with the various operators as we connected with our Cycle Cities partners via the Cycle Cities website, http://www.cycle-cities.com/. Cycle Cities is a network of qualified bicycle touring and rental companies located in top travel destinations in Europe, North America and South America. Using the website it is very easy to find tour operators in over 50 cities across the world. Bike and Roll NYC is a proud member of Cycle Cities. If I haven’t yet convinced the audience about the merits of bicycle touring in travel destinations, then the only thing left is to simply give it a try and judge for oneself. Bicycle tourism is growing by leaps and bounds and there is good reason for that. When planning your next rip to New York City, consider touring with Bike and Roll. When planning a trip elsewhere we encourage you to connect with Cycle Cities to find the local tour operator. Happy travels!